I was in Israel for the first time since I was a teenager on a press trip with Israel Tourism. 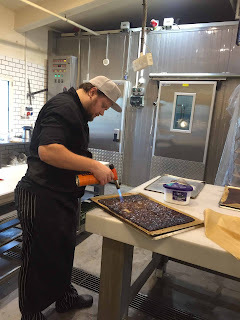 Since we just ended up with a private guide with us since no one from the visitor’s bureau or public relations had joined us, and there were some mix ups in the schedule, we decided to fill in a bit of what each of us wanted to do for our stories. I woke up fairly early at the Dan Hotel Tel Aviv. I knew it would be a long day and I was ready to get started. Despite the fact that I had a full dinner the night before, I couldn’t wait for another Israeli breakfast. I anticipated it would be as good as the Dan Panorama in Jerusalem, and I wasn’t disappointed. My sweet tooth was more than satisfied. 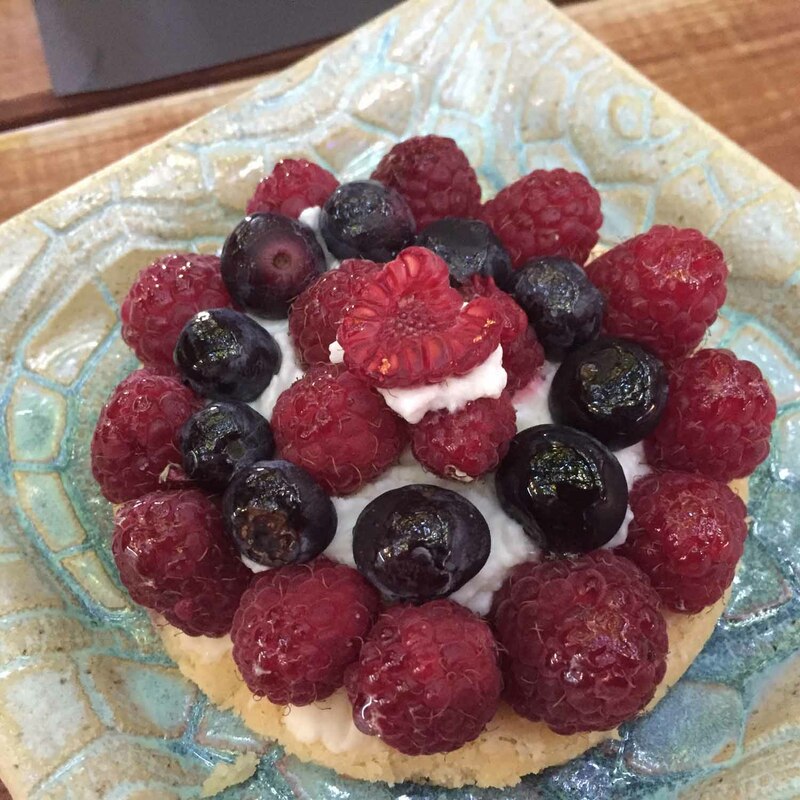 It took a lot of self-control not to totally fill my plate with luscious desserts! 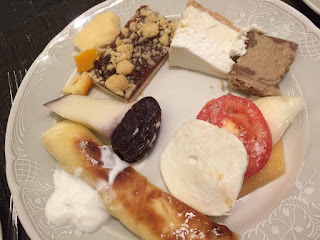 I managed to collect my favorites into a fairly well-rounded plate of fruit, cheese, tomato, halvah, a cheese blintz, a small raspberry tart, and a sliver of my favorite breakfast food – cheesecake. After breakfast, we took a tour of the hotel and saw photos of many celebrities who had been there recently, such as Richard Gere. 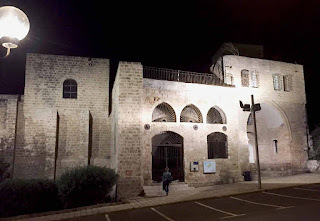 We also learned that Dan Hotels are Israel’s leaders in luxury hotels, and Americans are their most frequent customers. 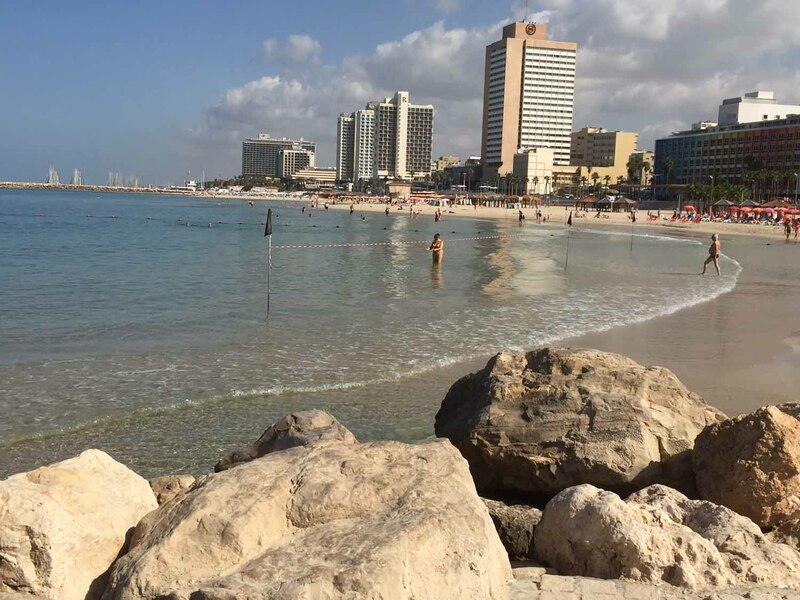 The Dan Tel Aviv was after all in the perfect location – steps from the beach and in the city. 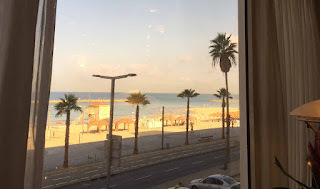 We finished the tour in the executive lounge, which had a breathtaking view of the beach. The plan for the morning was to head to the Gindi Fashion Week shows. A few of us did not do any fashion writing and decided to skip it. I went for a walk along the beach with my friend and fellow About.com writer, Karen Tina (KT) Harrison. 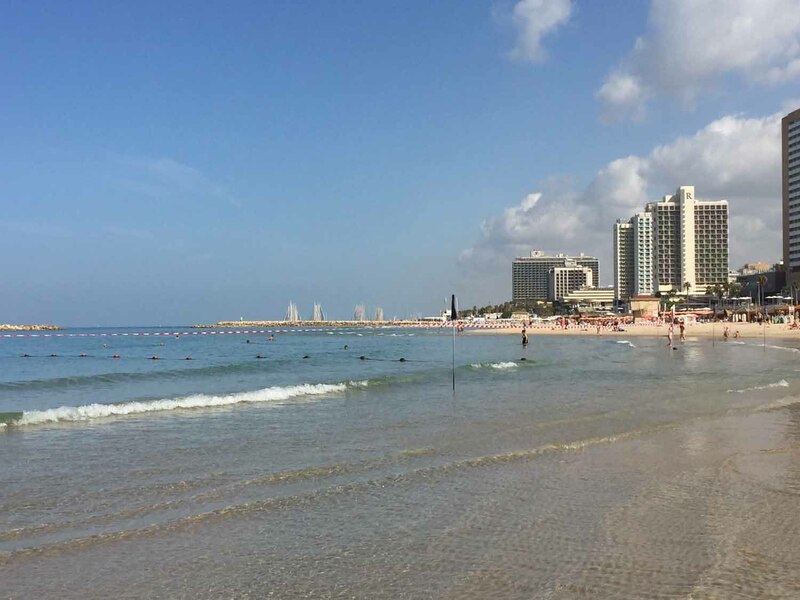 Tel Aviv is such an ideal vacation spot with both the city and a spectacular beach in one spot. 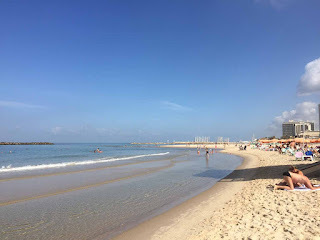 It was clean and not at all crowded, with the crystal blue Mediterranean Sea and a well-kept promenade to walk along. Walking is just what we did, for about an hour, before heading back to our rooms to get a little work done. In the afternoon, KT and I went to Tishbi Winery, along with another writer, Jo Piazza, who was the Managing Editor of Yahoo! Travel. 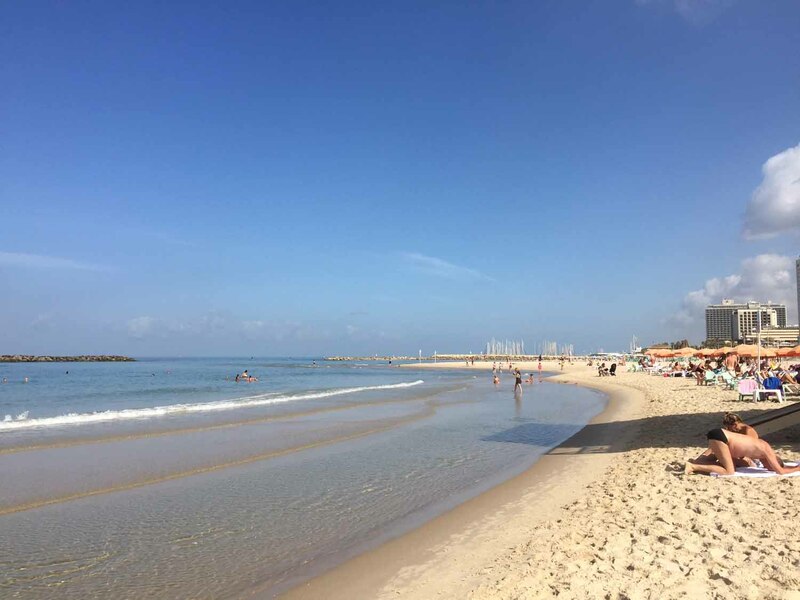 It was about an hour and a half away from downtown Tel Aviv, but well worth the trip. My cousin Marge had arranged for us to tour the winery and it turned out to be a most memorable experience. Everyone was incredibly welcoming. 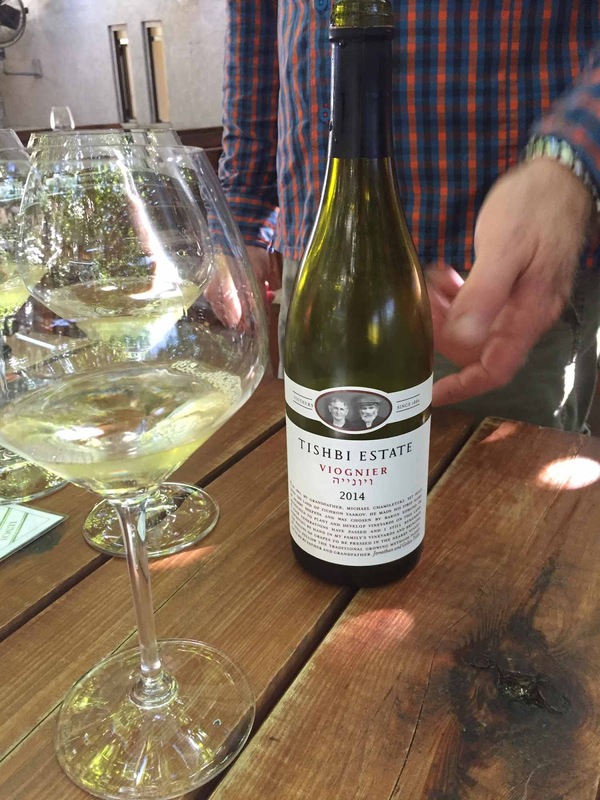 We had one of the best meals ever and every wine we tasted at Tishbi was fantastic. 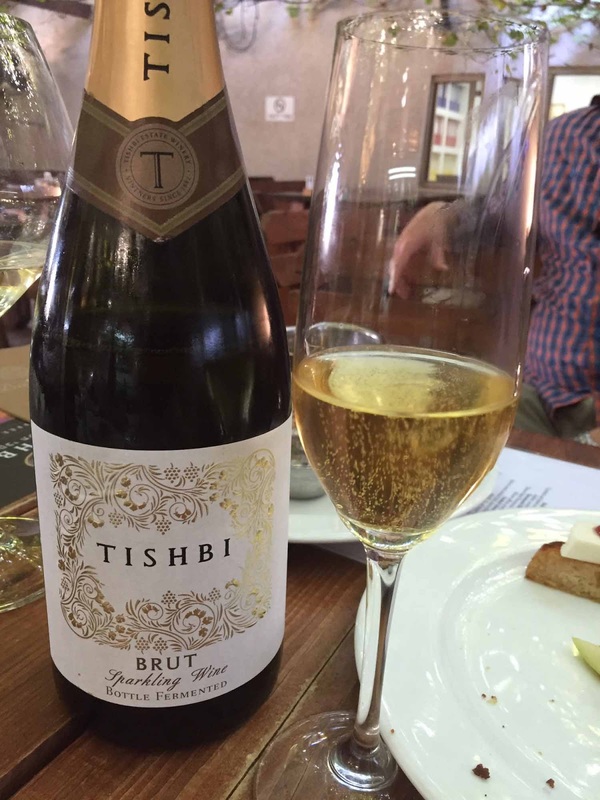 I especially loved the Tishbi Brut Sparkling and the Viognier. 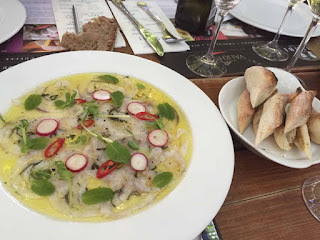 As for the food, we sampled nearly every fresh and delicious dish on the menu and I don’t think I could distinguish a favorite. Everything we ate was from fresh and local meat and vegetables. The fish was straight from the Red Sea. 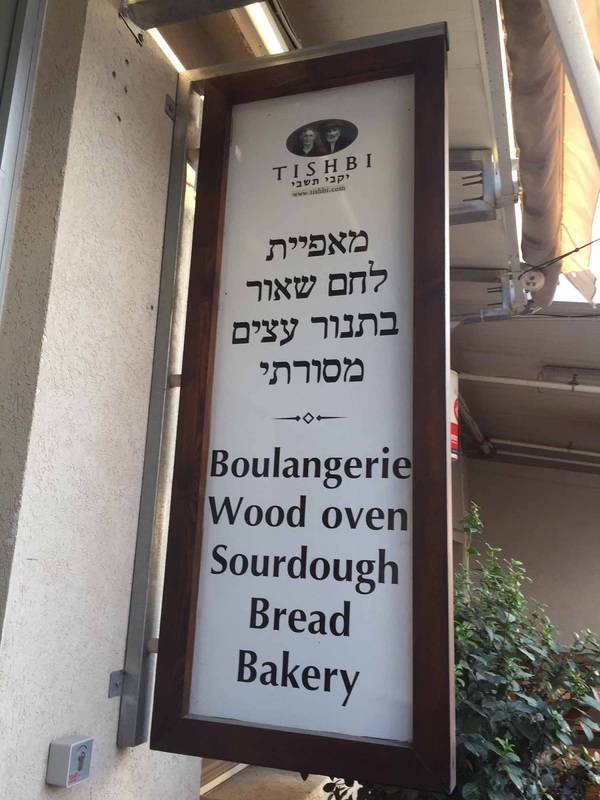 We were all quite impressed with the whole operation at Tishbi , which also included a bakery and chocolate shop. 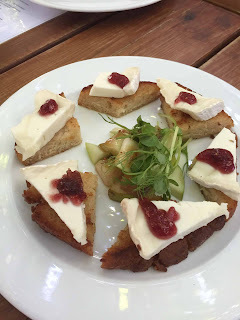 We finished in the tasting room, where we went home with wine and treats (I love their Mango Chardonnay Jam in my baked brie). 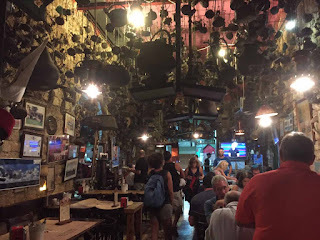 It was tough to leave Tishbi, but we had to go return the car and meet back with the group a few hours later for dinner at Dr. Shakshuka Restaurant in Old Jaffa. The restaurant, a popular one for locals and visitors, was quite good, but it was hard to top our afternoon. 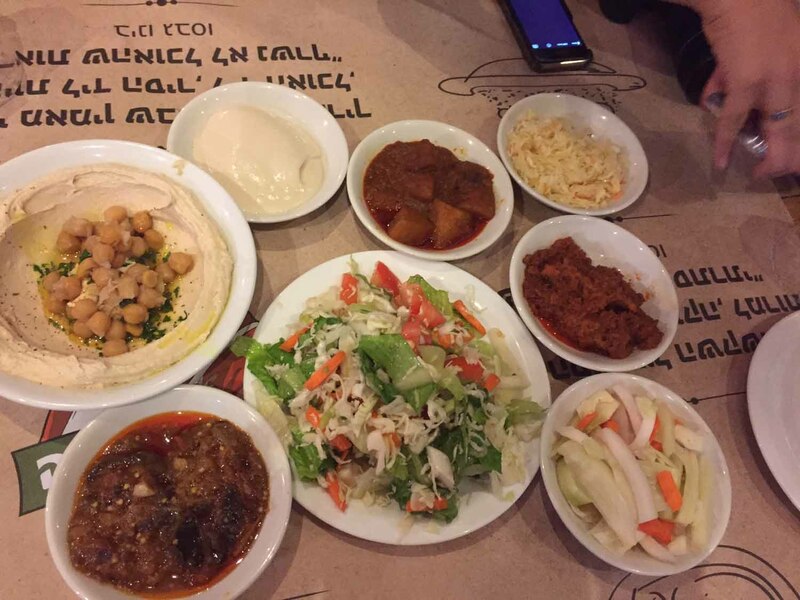 The dishes served here originally came from North Africa. We sampled a little bit of everything from salads to dessert. They didn’t stop bringing out dishes from the moment we all sat down. 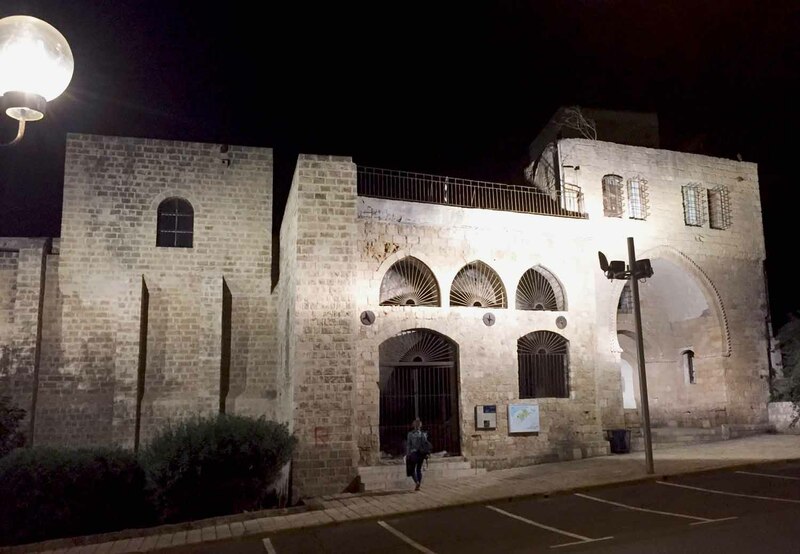 After dinner, we walked through Old Jaffa. Our guide Carmela showed us the old soap factory, which has become a favorite hiding place for the local bats. KT and I finished the night with drinks at a very busy and colorful nightclub, the Flamingo Bar at the Brown Beach House Hotel. We met up with the public relations reps from the hotel for a nightcap from their eclectic menu. I settled on the Green Crush, Bombay gin with cucumbers, mint, verbena (a flower), and ginger ale. It was pretty good. We stayed about an hour. It had been a very long day and it was a bit crowded for our tastes, though younger crowd seemed to love it. 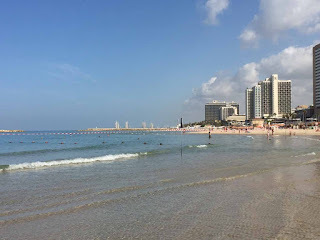 It was just a short walk back to the Dan Hotel Tel Aviv. I was so tired I was asleep as soon as my head hit the pillow. One of the best press-trip days ever! Marcia, thanks for keeping the memories alive in such colorful words.